Want to be a media dietitian? 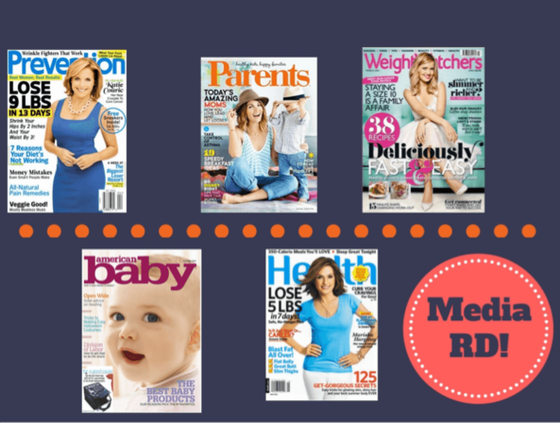 Working in the media as a registered dietitian nutritionist (RDN) is a ton of fun, plus it can help grow your career, your income, and your flexibility! I'm excited to share my story of how I became a media dietitian with you, plus my top seven tips for breaking into media as a second-career dietitian. I get many questions about how I became a media dietitian. So I figured I'd give a run-down of my career path, plus my top tips for breaking into media as an RDN! I love my work: As a freelance writer for more than a decade, I've authored 800-plus magazine and web articles. And as an RDN for about two and a half years, I've completed more than 500 media interviews. I'll start off by saying that there's no go-to traditional or non-traditional way to get into media! 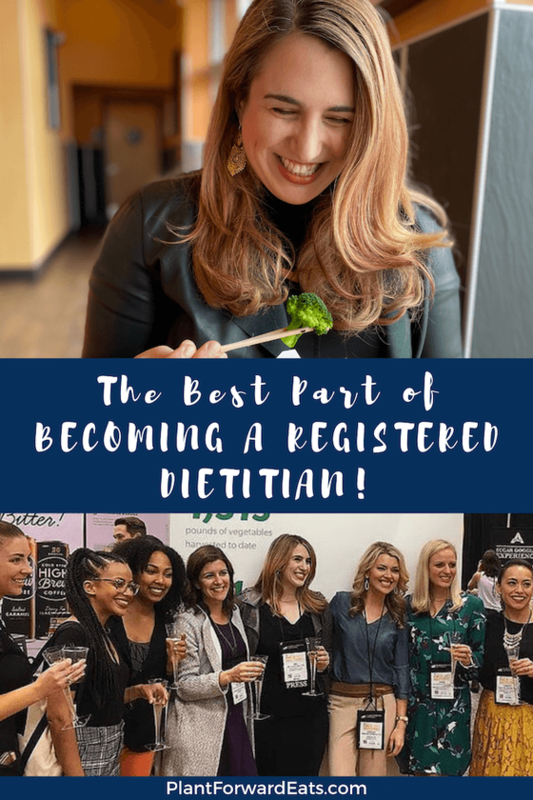 I've heard so many stories from registered dietitians who work in the media, so I'm sharing mine here. I'll start at the very beginning. My first career was in magazine publishing, as a health and nutrition magazine editor. Part of this was back in the heydey of print mags. I got to meet more celebs than I can count on both hands (including Brooke Shields, Ellen Pompeo, Rachael Ray, Bobby Flay, and Rocco DiSpirito! ), the magazines I worked for had budgets for happy hour after happy hour, and brands I met with gave me presents like a spa day at the Mandarin Oriental! I definitely worked hard, working more late nights and weekends than I care to remember. But as a young professional enjoying New York City life, I had a blast. My colleagues and I bonded over late night dinner "parties" at the office, eating takeout and signing off page proofs to ship to the publisher so the magazine could be printed. My entrance into publishing began in college. I graduated from the University of Florida with dual degrees in journalism (with a focus in magazine journalism) and visual art studies. I'd always loved painting, and having that art background helped me with the visual aspect of magazines—I collaborated with the art team to come up with visual treatments for the stories I worked on. One of my favorite responsibilities was attending photo shoots to oversee the photography for some of my articles. I learned a lot about food photography, which would later help me create my own food blog. I learned that seeds were sometimes glued to buns in order to achieve the perfect look! I got as much publishing experience as I could during college, working for my college newspaper and then a local newspaper and magazine. I even landed a prestigious American Society of Magazines internship at Ladies' Home Journal one summer during college, and I had assignments for LHJ, Women's Health, and Men's Health before I graduated undergrad. You could say I was eager to make it! 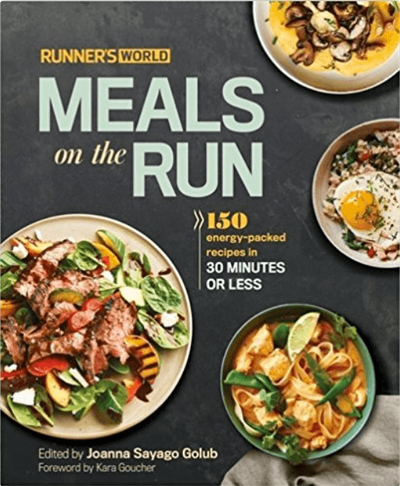 After college, I took a short break, doing a multi-month intern stint at Runner's World before heading over to Northwestern University to get my master's in journalism, with a concentration in magazine publishing. This was one of the coolest experiences of my educational life: I worked with 17 other grad students with a real-life, multi-thousand-dollar-budget to create a magazine. We even pitched it to publishing companies. If you're curious, our concept was called Hyperlink, a print magazine for web editors. Although it didn't exactly get off the ground, we had a great time bringing it to life and won an award for a start-up magazine project from the Association for Education in Journalism and Mass Communication. My magazine days were glamorous, and sometimes I got to hang out with celebs like Rocco DiSpirito! Now that I've given you my early-days background, I'll fast forward a bit. After grad school, I took an internship at Prevention magazine in a small town in Pennsylvania. I did the working my way up thing. Whereas nowadays, some (lucky!) web editors might get their first jobs at an assistant or associate editor level, back then you had no choice but to put your time in as an editorial assistant to get anywhere in the publishing world. So I interned for many months, working as hard as I could, crossing all my fingers and toes that I'd get hired as an editorial assistant. And I did. I snagged a job in the magazine's New York City office, and I was officially off to work in the city! I juggled assistant duties with writing for the magazine, which I knew was the work that would help me fast forward my career. Some weeks I put in 70-plus hours, but my perseverance paid off when I got many bylines in the magazine and even got to edit a nutrition column for several months. It was during this time at Prevention that I realized my passion for nutrition. I didn't even have an inkling of my desire to be a registered dietitian nutritionist until I was midway through this job! One of my responsibilities was to write and research nutrition articles. One day, I got on the phone with an omega-3 expert who explained the intricacies of the omega-3s EPA and DHA to me. We spent well over an hour chatting. When I hung up with this very kind expert, I thought, "I'd love to understand this in a minute, not an hour." So I started looking into furthering my education to become an RDN. 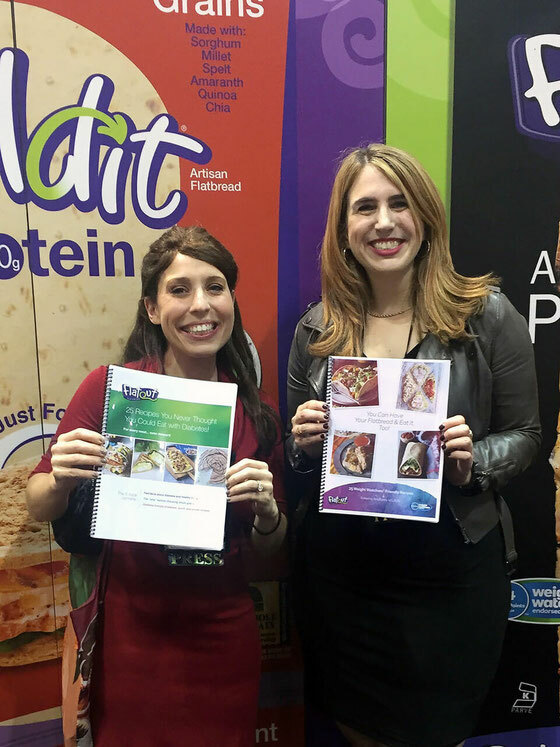 While at my next job, as an assistant health and nutrition editor at American Baby, I enrolled in night classes at New York University to begin my Didactic Program in Nutrition and Dietetics (DPD) education. I was officially on what would turn into a seven-year path to become an RDN! During my time at American Baby, I went on air several times for CBS' Up to the Minute. I got amazing media training for these segments. A head nodder and a blinker, I trained myself to do both less often. I learned to talk with my hands less. I got feedback on my wardrobe, finding out that having a staple of jewel tones in my closet is of paramount importance to looking sharp on TV. I experimented with make-up, determining that the amount of blush I applied for a TV segment was way more than I'd ever wear in day-to-day life! Want more pointers? Here are nine tips to land a broadcast segment. I then moved over to American Baby's sister publication, Parents, for a short stint as associate health and nutrition editor. I loved that the staffers there, most of them parents, worked hours conducive to getting home in time to eat dinner with their families! Next up was a gig at Health, where I was the senior diet editor. This was a title that might be a bit faux paus nowadays: Today, a good number of the articles I take part in are about how to make lasting lifestyle changes for lasting weight loss—without the need for short-term diets. But back then, a big part of my job was to write a monthly column about women who'd lost weight by following various diet plans, and I even helped create diet plans to help readers lose 12 pounds in just one month. Let's just say I'd approach that job differently now, as an RDN! I had a great time working there, though, and I got to experience the sophisticated culture of having an office in the Time Inc. building. That was my only job during which I wore heels almost daily. I commuted in sneakers and kept a pile of heels and wedges under my desk! 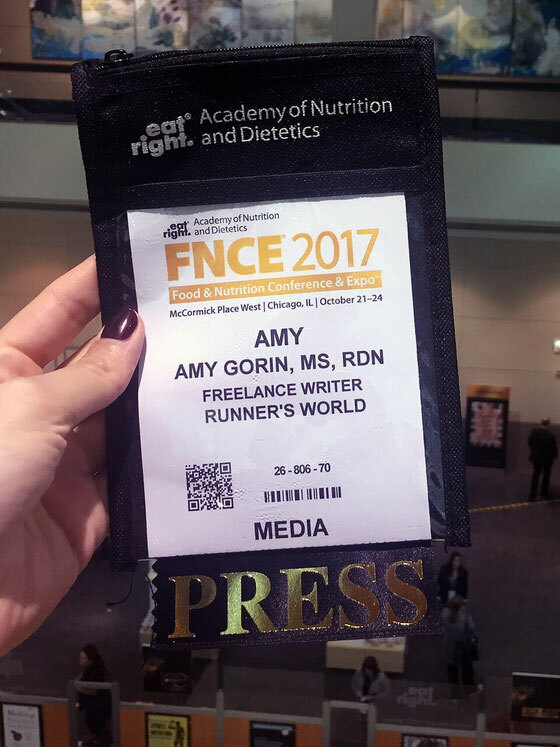 I always get a press pass for FNCE so I can pitch story ideas based on my learnings from the conference! And then came my absolute favorite job that I ever had while traditionally employed. (I'd have to say that my all-time favorite job is now, self employed as a media dietitian!) Next up was senior editor at Weight Watchers Magazine and WeightWatchers.com. I was part of a small team that worked so well together. I got to conceive and edit many columns and features, while also writing a good amount for the magazine. I stayed at that job for about three years, until it was time to leave to complete my dietetic internship. My departure was pretty bittersweet. I loved the job, yet I knew it was time to move on to the next chapter of my career. While I completed my distance internship at Utah State University, studied for the RDN exam (learn how to pass the RD exam), and got my business off the ground, I continued to pen a weekly nutrition blog for Weight Watchers, "The Eat List." My work with brands includes fun events like hosting Facebook Live recipe demos! After finishing my internship, I tried my hand at running my own nutrition communications business. I figured if I didn't like it or it didn't go well, I could always go back to a regular job. But I ended up absolutely loving it—the thrill, the flexibility, and the sheer fun of it—and I never looked back. Today, I do a combo of everything I love. I write freelance articles for titles including NBCNews.com, FoodNetwork.com, and ReadersDigest.com—and do media interviews for similar publications. I work as a spokesperson, consultant, speaker, and recipe developer for brands and commodity boards I love. I co-run a media training e-course called Master the Media for RDNs. And I run my blog, Amy's Eat List, conceiving and photographing healthy and delicious vegetarian recipes. My editorial work has allowed me to contribute recipes to several cookbooks, including this one! Now that you've learned about my background, you might be wondering if you also have to spend years and years (and years!) gaining media experience to make it as a media dietitian. I have great news for you: You can fast forward! I'm sharing my top tips here for breaking into the media dietitian world, right now. 1. Start right now. Doing media doesn't have to be all or nothing. For the entirety of my eight or so years as a magazine editor, I wrote freelance articles on the side for publications such as Runner's World, Consumer Reports ShopSmart, and Women's Health. I wanted the extra income, but I also wanted to establish my name as a writer for when I went out on my own and needed that name recognition. You can do this while at your day job. Pitch freelance articles and do media interviews so your name gets out there as an expert! Here are 10 tips to break into the media. 2. Establish a niche. This is of uber importance. Having an area or two of expertise helps set you apart from the countless other dietitians out there. And by having this expertise, you don't have to spread your efforts so thin trying to land every media opportunity out there. My areas of expertise, for example, are vegetarian and vegan eating, weight management, and media and entrepreneurship. So I focus my efforts in creating content and landing media interviews in these areas. 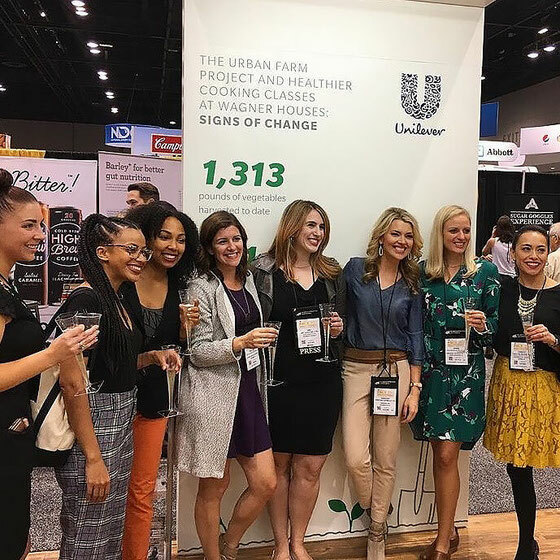 I was so honored to be named a 2017 Unilever Agents of Change! 3. Perfect the art of pitching. A big part of landing the freelance assignment is writing the perfect pitch. Use these seven tips to craft a stellar pitch. 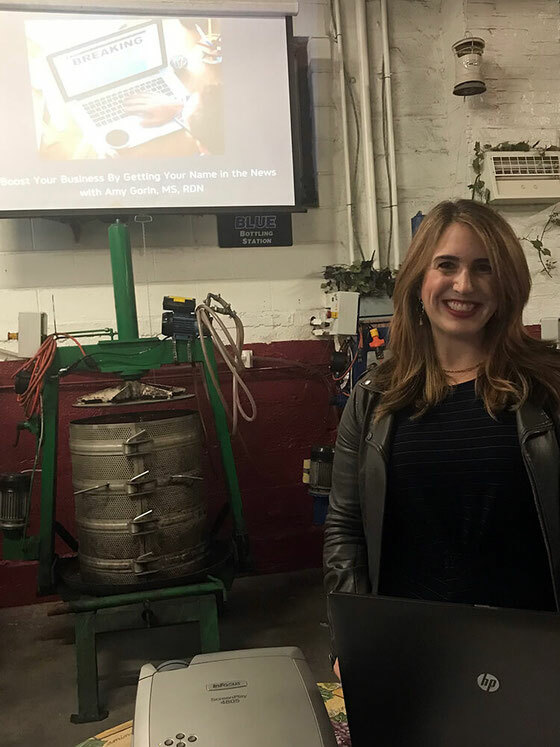 And look out for the free webinars that my colleague Erin Palinski-Wade and I run several times a year on getting into the media as part of our Master the Media business. You can put yourself on our list to find out about future offerings, too. 4. Build a portfolio. Highlight any media work that you do, pronto. 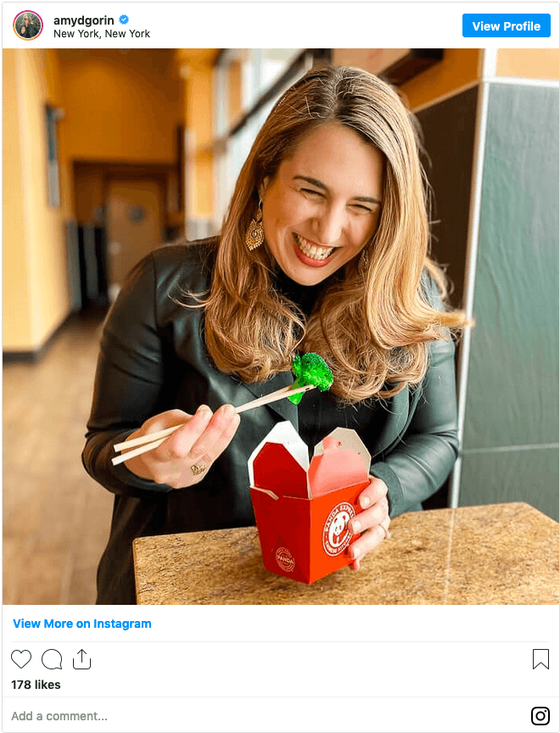 When I first got into the media dietitian side of things, a friend and mentor advised me to highlight any new media on my website as soon as it came out. I've continued to do this for years, and it's always served me well. Reporters contact me after seeing my library of quotes, and brands ask me to work with them because they're looking for a dietitian with an impressive media presence. If you're looking to land more media interviews, you can sign up for a one-module landing-the-interview masterclass that Erin and I offer through our Master the Media business. 5. Realize the importance of smaller publications. When I was in grad school, I had a column in two tiny Illinois newspapers. I was working any angle I could to establish my credibility as an author. Smaller publications can help you build a media presence, guiding you to those larger publications. 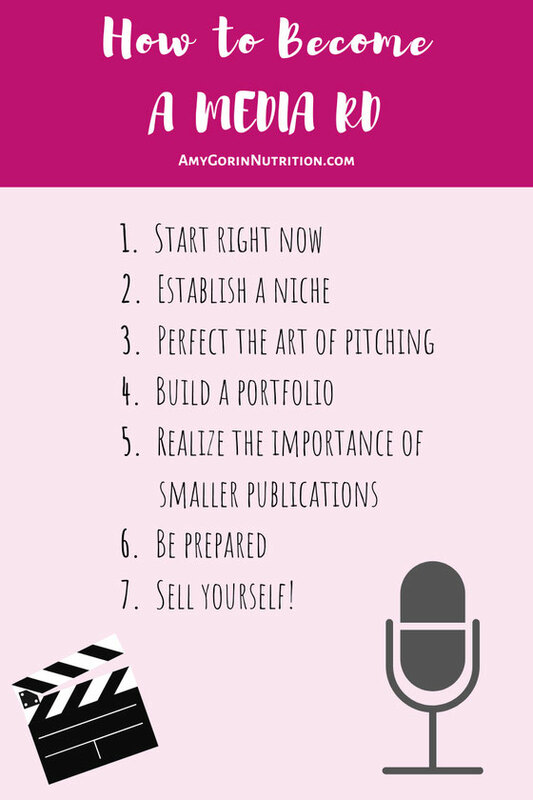 Industry titles, such as Today's Dietitian, RDLounge.com, the Stone Soup blog from Food & Nutrition Magazine, and even DPG newsletters, can help you build your portfolio, too. Try these 10 strategies to become a successful freelance writer. I created a cookbook for one of the brands I work with. 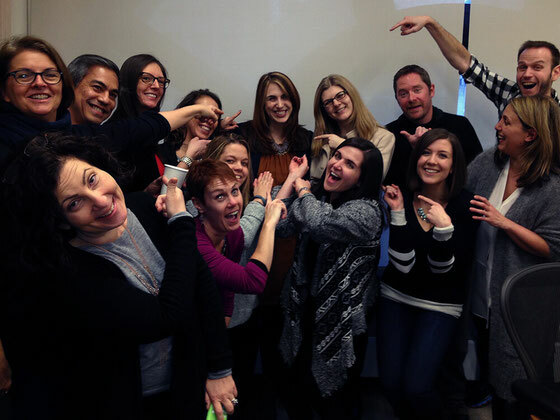 And so did Erin, who co-runs the Master the Media e-course with me. 6. Be prepared. These days, it's as likely to be invited to take part in a virtual interview via radio or podcast as it is to be asked appear in person at a broadcast station. It helps to have a few pieces of basic equipment on hand to help these go as seamlessly as possible. When I'm doing an audio interview or hosting a webinar via my laptop, I use headphones that I can speak into for crisp sound. I also have a microphone that attaches to my iPhone or tablet and increases audio quality. When I use this, I attach an adapter to my phone so I can simultaneously plug in the microphone and charge my phone. I usually use this microphone and adapter for Facebook Lives, too. No equipment? Then use the advice I received when I did my very first radio interview! Use a landline for the interview, or lock yourself in a bathroom (the acoustics are great!) with your cell phone. 7. Sell yourself! Make your media presence super obvious to anyone who might possibly want to work with you. Have business cards at the ready to hand out at events (I keep mine in a cute little carrying case), include your title, blog, and social links in your e-mail signature, and have a media kit at the ready. I get my biz cards printed at Moo.com. The print and paper quality are incredible, and I always get compliments on my cards. I sometimes rope my boyfriend, Lawrence, into my brand work! Find this post helpful? At no additional cost to you, support the maintenance of running this site by using my Amazon affiliate links to shop and my Moo affiliate links to shop. Thank you! What are your thoughts on this topic? Tell me about your experience getting into the media as a health professional.